I went to a gorgeous gathering at a divine Soho loft in New York last night. The kind of apartment one could only fantasise about living in in a city that packs people in so tightly performing a salute to the sun is challenging. While the conversation varied, much of it had a wellness slant. Allergies, gluten-free options and yes, oil pulling. The holistic talk was accidental I'm sure, as it was an eclectic group of people - a documentary filmmaker, a life coach, a flight attendant, a fashion PR, a digital strategist - and while there was lots of chatter about the state of current affairs, God-fearing Texans and slave labour in the Middle East, people's dietary concerns and natural approach to skincare and healing was proof that the world really is on the cusp of a wellbeing revolution. And yes, it was a cocktail party, but half the party were drinking sparkling water instead of sparkling wine and we munched on raw veggies and organic cheeses. Come 10pm I was ready to head home and as I said my goodbyes, one of the hosts was captivating guests with his experience of oil pulling - he revealed sparkling white teeth and swore he felt an elimination of toxins as a result. I've tried oil pulling a few times but was never able to commit to it for longer than a few days in a row. But what did I come home and do? Yep, I washed my mouth out for 15 minutes with coconut oil. And I can honestly say I woke up to whiter teeth! The ancient Ayurvedic practice is said to improve everything from oral hygiene to skin conditions, hormone imbalances and hangovers. The idea is that swishing around a cold-pressed oil (coconut, sesame, sunflower) for 15-20 minutes removes toxins being held in the mouth where billions of bacteria, viruses, parasites, fungi and toxins like to hangout. Daniel Vitalis (who I recently heard speak at the IIN conference in NYC) describes the mouth as the doormat to your body - you know the one you wipe your feet on before you go inside to remove dirt and debris? Uh huh. It's suggested that oil pulling is best done first thing in the morning. Those mouth-bound nasty micro-organisms will adhere to the oil as you swish it around making it a toxic waste hellfire so do not swallow! Preferably spit the resulting salivary mess into the bin, not down the sink unless you're on good terms with your plumber. Tip: use organic cold-pressed oil - anything chemically manufactured doesn't make sense for detoxification. 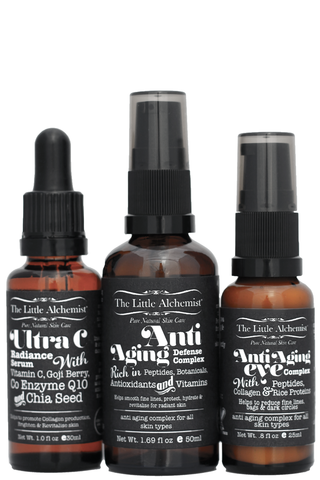 Want all your organic inner and outer beauty beloveds (and new discoveries) in one easy-to-access place? Of course you do! Well, look no further than The Organic Project. 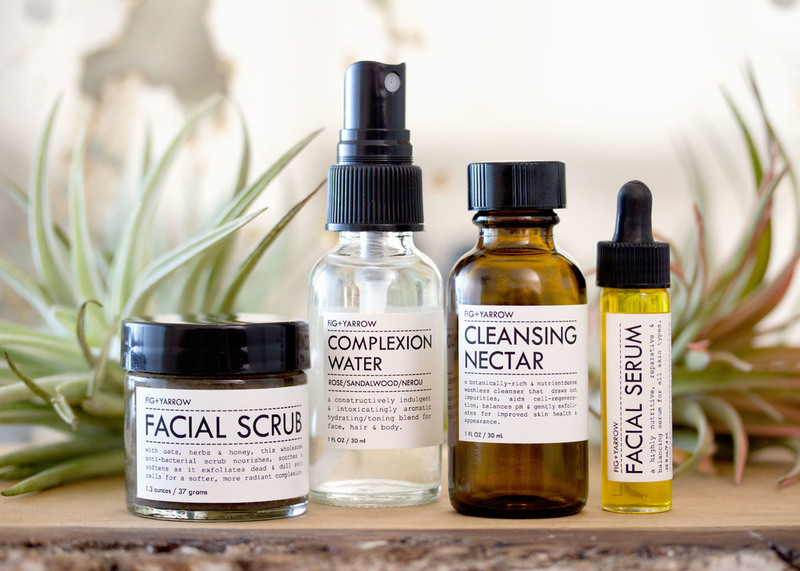 The Organic Project is the an all-organic and all-Australian online beauty store offering celebrated natural products and new kids on the organic beauty block in the one destination. It's a haven for the clean potion and lotion obsessed - now. instead of scouring several online and strip destinations, then obsessively breaking down the labels of brands you uncover, you can sleep and breathe easy by shopping at the first all-Australian apothecary. All skincare, body care and internal beauty products are synthetic-free and safe for your skin and beauty cabinet - especially since they are not stocked alongside other chemically-laden products. Brands on offer include The Beauty Chef, Indah Organics, DNA Elements, Jacqueline Evans, Aromantik and The Little Alchemist. And from all sales a percentage of the profit will be donated to Opportunity International Australia. OIA provides micro loans to women in developing countries enabling them to start their own small businesses. For travelling I love Flight Skincare's Sheer Luxury Milk Cleanser that contains Quandong seed oil. Quandong trees are found in the arid regions of Australia and the oil is a wonderful healing treatment that repairs and soothes skin. The product also contains goats milk, camellia oil, and essential Ylang Ylang to improve blood circulation for a radiant healthy glow. RRP$37. Surface Skincare's Kakadu Plum & Ylang Ylang Rejuvenating Cream will reduce fine lines and wrinkles in 2-4 weeks. The Kakadu Plum grows natively across the top end of Northern Australia, and is the richest source of Vitamin C known. The Kakadu Plum effectively improves the growth of new skin cells. RRP$54.90. Here's a preview of the Organic Project team's essentials to give you some ideas to carry you through Spring in the Southern Hemisphere. Gorgeous, all-natural product loving The Organic Project ambassador Emma Bridge shares her handbag must-haves with Health Bird. Zara faux leather handbag: I love love this bag from Zara, my sunglasses are from there too. Hanako Therapies spray: There are those moments in the day where I need to stop and take some deep breaths, and spray some of this. I am Bliss from Hanako Therapies is my go to stress reliever... it's great way to clear my mind and re-center. Notebooks: I'm a bit old fashioned in that I enjoy hand writing some of my life, otherwise I might forget how to write!! So I carry my dairy (pink with green spots) and my daily notebook (white). My diary is from Joanie Loves Chachi in Woollahra and my note book was a gift. 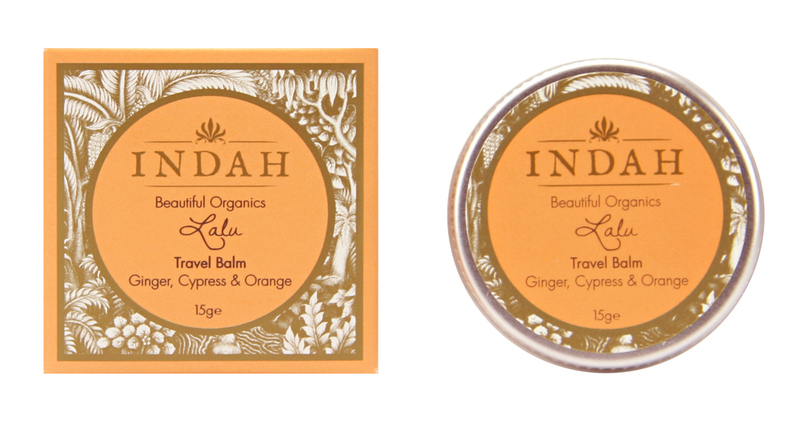 Indah Sari Body Butter: One of my favorite all over body moisturizers and sometimes it make it into my bag as a hand cream. It has a scent of sandalwood and patchouli, two of my favs. Perfume: I've been wearing essential oils as perfume for years, so it was so exciting to find One Seed. I’m loving their perfume called Courage; it smells like heaven with Ylang Ylang, magnolia and rosewood.... it is for integrity, quiet strength and inner beauty... They are 1000% natural and made in Australia, which I love. Keys: Key chain from Joanie Loves Chachi in Woollahra. Often it's the simplest food philosophies that create the tastiest meals. That's what Bianca Monley of Eat Fit Food was banking on when she turned her flavour-mazing and nourishing wholefoods recipes - free of preservatives, artificial sweeteners, additives and chemicals - into a home and office delivery system that now has Sydney and Melbourne's busy foodies, overtired mums and frustrated cooks raving. Eat Fit Food delivers fresh food daily, (you wake up and there it is on your doorstep, could it be any easier!) and I was lucky enough to experience the five-day cleanse program on a trip home to Sydney in September. There are plenty of programs on offer for both men and women. 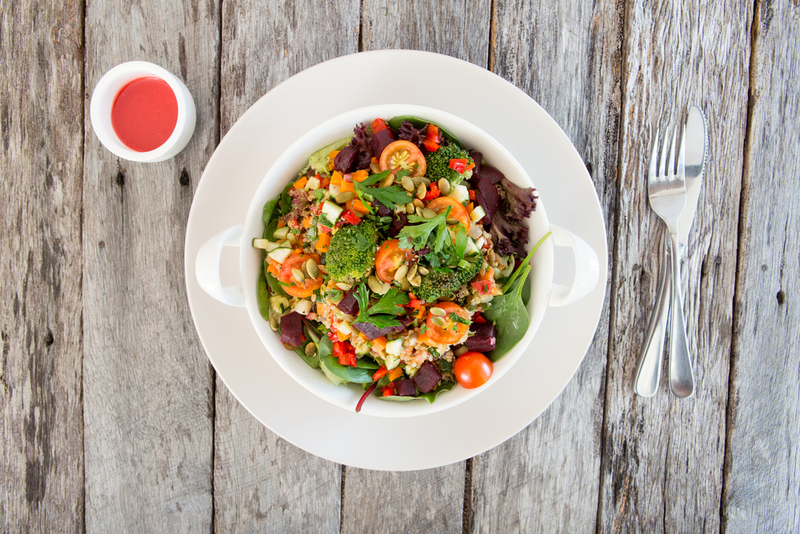 All meals are calorie conscious and portion controlled and designed to reset your eating behaviour when you've overindulged, perhaps during winter, a trip overseas or just an eat-a-thon of a weekend. It happens! 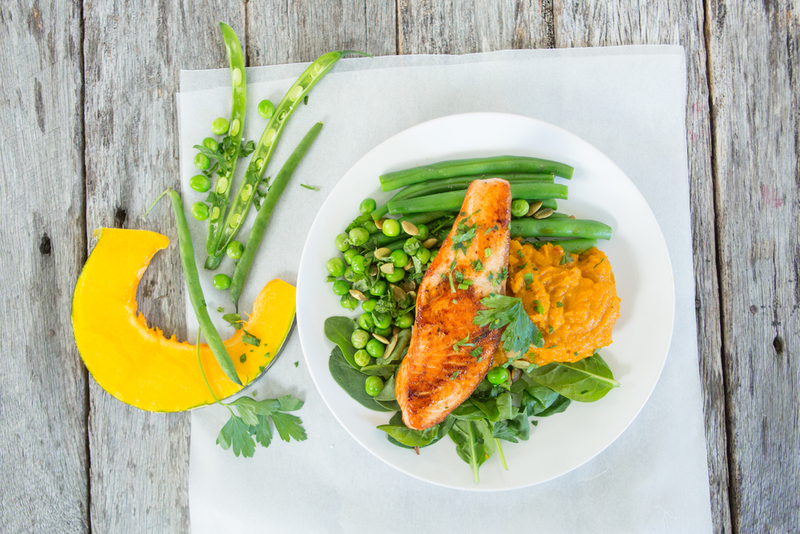 I was delivered fresh balanced meals each morning that promised to improve my vitality, digestive function and nutrient absorption. I definitely felt lighter and energised eating EFF's prepared meals - that were tailored to my requirements, ie. no red meat or dairy. And the ease of heating them up was welcome. 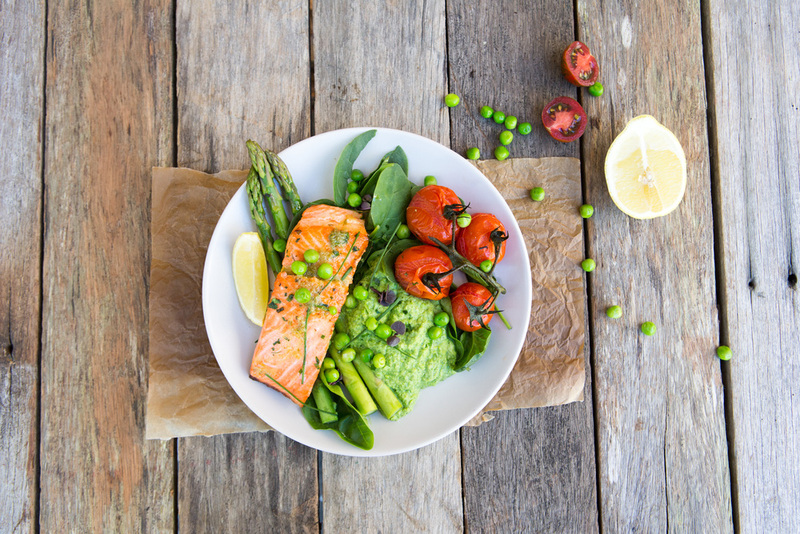 What really excites me about Eat Fit Food is that they take pride in sourcing sustainably farmed ingredients and are environmentally conscious of their packaging and delivery in an effort to reduce their carbon footprint. The EFF peeps have also acquired the Eat Fit Food Farm where they'll grow lots of delicious organic produce to promote the paddock to plate way of eating. Follow the food delivery specialists on Twitter for more info. Proving their popularity among the fit and fabulous, their celebrity endorsements from personalities like Rachel Finch, Miranda Kerr, Hugh Jackman and Ronan Keating are just as glowing as mine. 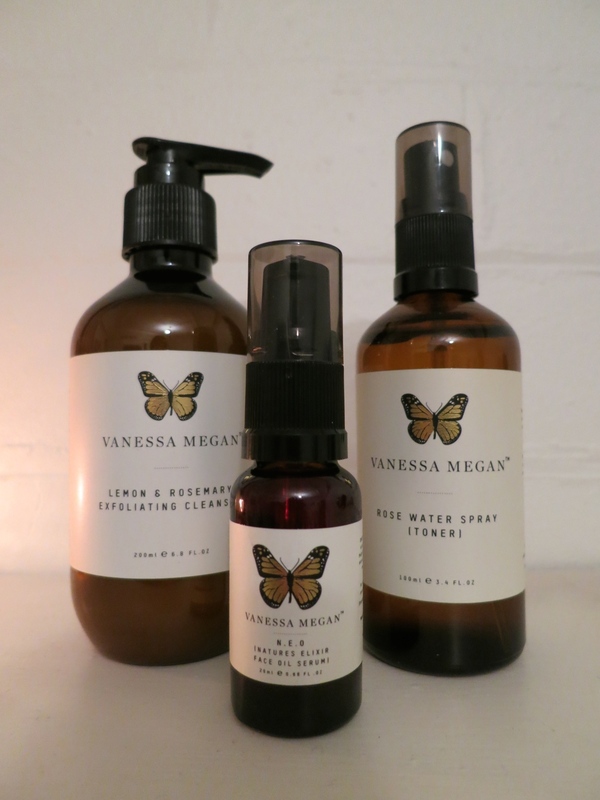 Over the years I've been hearing a lot about natural skincare range Vanessa Megan - created with love in Sydney, Australia. But it was only recently that I actually tried the products for myself. I opted to shake up my cleansing routine with the Lemon & Rosemary Exfoliating Cleanser, Rose Water Spray and N.E.O. Face Oil Serum. Wow! The cleanser manages to soften and moisten skin while it purposely removes dry skin cells. The Rose Water is a fresh spritz the livens up the dermis and smells like a garden and I simply cannot fault the N.E.O. - my dehydrated skin soaked it up overnight and within days I noticed a more even skin tone and morning glow equivalent to a decent eight hours sleep. Something I rarely get! Then entire range, created by former model and actress Vanessa Gray, is Australian Certified Organic, chemical-free, paraben-free and has no artificial preservatives, colours or fragrances.. in fact the range is free from all nasties and packed full of only natural goodness. 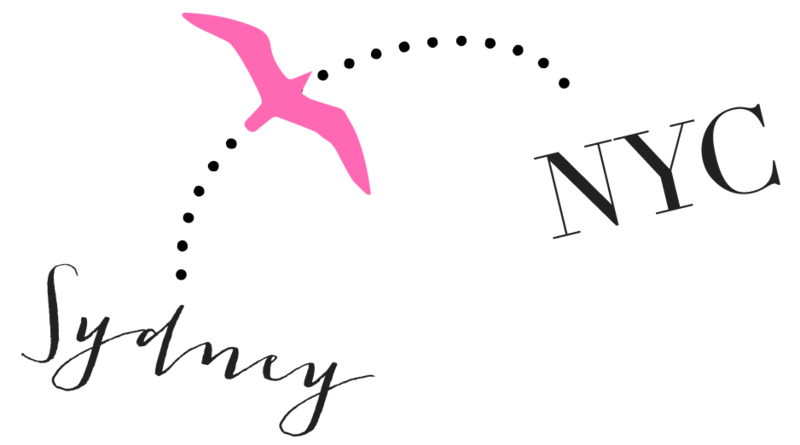 I was lucky enough to interview Vanessa, who excitingly just became a new mum, about the delightful range that promotes a worry-free routine. Where did the idea for your brand Vanessa Megan stem from? Vanessa Megan products were born from my best friend’s phrase: "You should never put anything on your skin that you wouldn't eat''. Galvanized by this concept, I began investigating the ingredients in my bathroom cabinet and discovering skincare products laced with harmful and synthetic ingredients. I commenced a quest to find a chemical-free product that had all the regenerating and healing properties I was looking for. The search revealed a shortage of truly harmless natural skincare and so in 2001 I started formulating natural face products in my kitchen, studying the effects of various ingredients on my own skin. Did you experience some hiccups on your journey to becoming a skincare entrepreneur? My goodness, yes! I have had many hiccups making products that were terrible when I first started, using oils that were awful, conditioners turning to goop... But when it’s come to the business side of things, I have been blessed with great mentors who have helped me build the business that I have today. Has the range grown in line with your dreams? Where do you see its future? The brand has grown beyond my wildest dreams. I mean this was a hobby, something I was going to do in between acting gigs, and now it has become a fully commercially operated business. I see the brand being exported to a few chosen countries, so we can keep the beauty of hand-made, artisan, certified organic products that everyone loves so much. Why is natural skincare so important to you - what is the message you are hoping to spread? My best friend who the entire brand was inspired by lost her life to cancer nine years ago. When receiving radiotherapy she was advised not to use any cream or oil products with mineral oils in them. This was enough for me to focus on all-natural ingredients. Sean Penn has just produced and narrated a very provocative documentary called ‘The Human Experiment’, highlighting the effects of chemical products in our every day life and how they can harm the human body, reproduction, and potentially the neurology of our children. I urge anyone who is interested to watch this film. Naturally Home has brought the film into Australia and you can find out more about it here. What are the benefits of the ingredients you use? Not only are the ingredients we use in our products safe for the skin and body, the healing, longevity, anti-ageing benefits are seen almost instantly. We constantly receive emails from our customers in disbelief of how quickly they noticed improvement in the skin tone, elasticity, texture and overall appearance. Our Nature’s Elixir Oil (N.E.O) is our best selling product because of this reason. It is full of certified organic oils, vitamins and minerals like A,E,P,K and zinc. It really is a must for the beauty cabinet! I’ve been using the exfoliating cleanser, rose spray and serum and am delighted with the results, the texture and the scent - what sort of differences should clients see from using your products compared to chemically enhanced beauty products? As above, customers see instant results and have an instant dynamic with the product, scent and action of what they use. 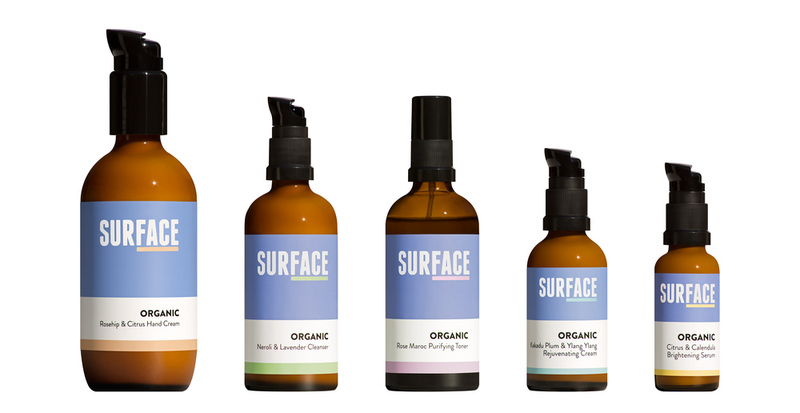 The benefits of using our certified organic products are on a deep level as the products are actually able to penetrate their healing properties deeper into the skins layers. 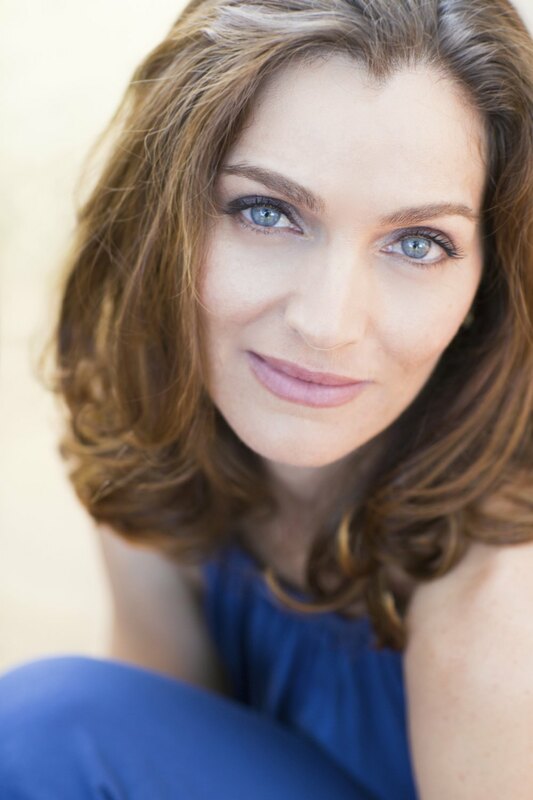 Customers tell us they wear a lot less makeup since using our products, as their natural skin glow returns. You recently had a baby. Congratulations! How important is it that baby skin comes into contact only with natural products? What do you use on your baby? Thank you, I just love being a mum! I always have used only natural products on my skin, but since (my daughter) Winter was born I feel even more strongly about her having only natural products and clothing against her precious skin. I use our Baby Bath & Massage Oil every night, I use it in her bath and massage her when she gets out. When she gets older and dirtier I will use the Bubba Suds Bath Wash in her bath. I also use the Bum Bum Balm on her bottom and she hasn’t had any nappy rash since she was born. We also use the Bum Bum Balm on our five-year-old’s eczema which helps to reduce inflammation and the itch. I believe less is more, not only for my baby but for our adult skin also. Do you live an organic lifestyle in general? Yes we do. Before I met my fiancé, Grant, I ate really well, but I didn’t have the time (or I thought I didn’t) to eat as organically as I could have. When we moved in together he guided our family unit to local organic produce, and I guided it on the cleaning product side of things. We shop at our local farmer’s market on Saturdays in Bondi where we buy locally made yoghurt, locally produced meat and veggies. Mid-week we have two local organic shops we buy from and our local butcher sells only grass-fed meat. My stepson who is five has allergies to gluten and dairy, so we have to be mindful of what we cook for him also, which inspires new recipes and cooking. I have to urge people who are on a budget, that organic shopping does not have to be expensive and it tastes 10 times better. Started the day with a trip to Byron Bay’s weekly Farmer’s Market. Held every Thursday from 8am – 11am, (Saturdays 8-11 in nearby Bangalow) the fresh produce available ranges from fruit n veg to cheeses, eggs, seafood, juices and native flowers. 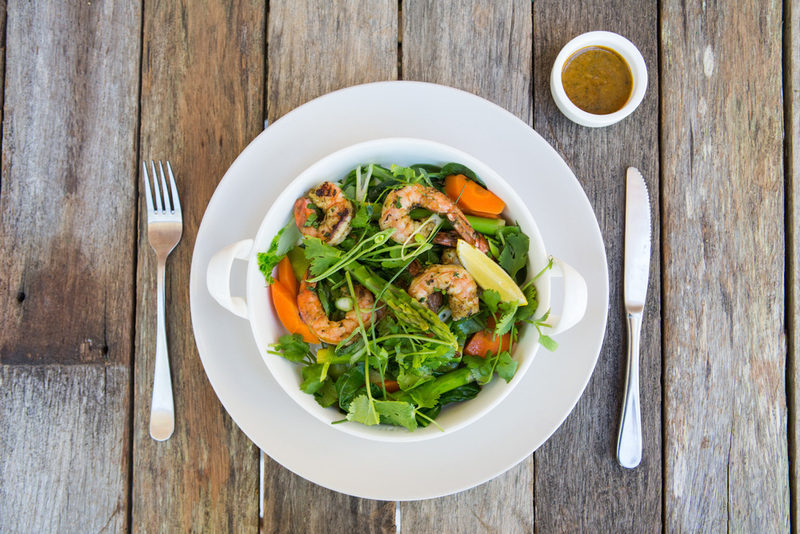 All locally sourced, seasonal, full of flavour and delivered with love by the Northern Rivers locals. And we now have a fridge filled with kale, blueberries, corn, strawberries, plums, potatoes, avocados, capsicum, tomatoes, garlic, pumpkin… and much more to see us through the first month of Australia's Spring! 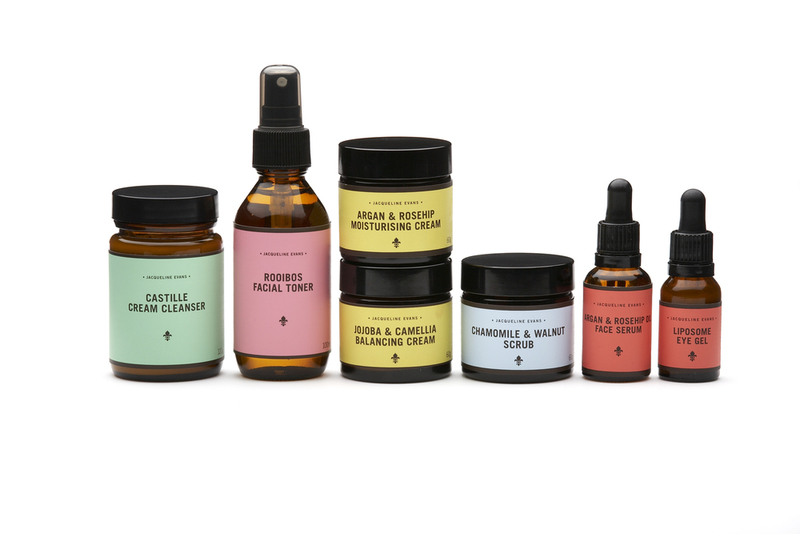 I've fallen in love with FIG + YARROW - a delightfully botanical-based line of handcrafted organic health and vanity products made in Denver, Colorado. The face, body, and hygiene range is made using advanced formulations of vibrant roots, leaves, flowers, oils and mineral elements and trust me, it is a treat for the body and feast for the senses! 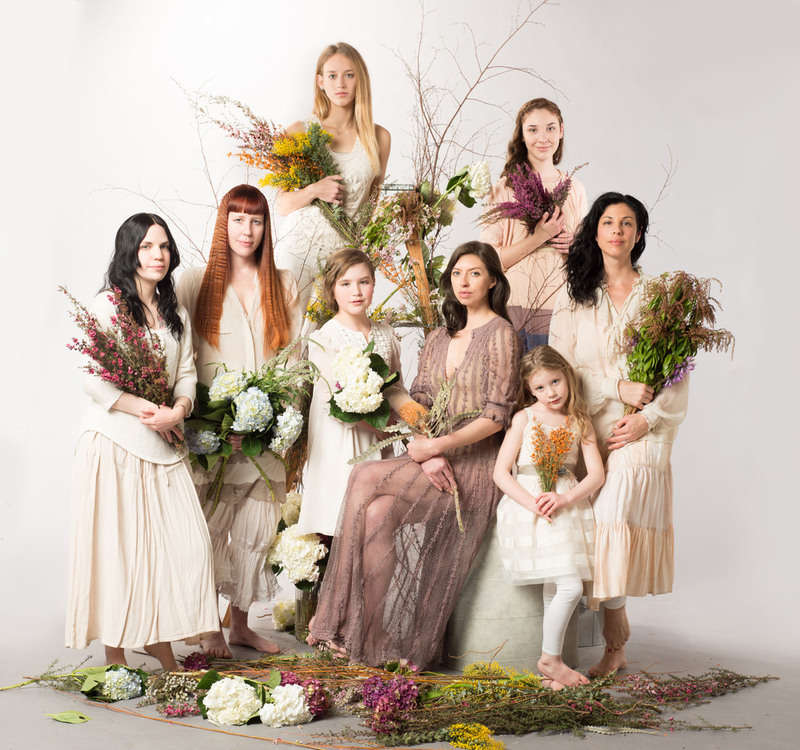 Fig + Yarrow's use of nature's raw beauty with their wild-crafted ingredients inspires vitality and heightens the body’s senses. These heavenly-scented products (I'm in love with the Pink Love Salts) are the creation of apothecary artisan, Brandy Monique, who as a young girl was always playing in nature amongst plants and creatures great and small. Later she studied Herbalism and Plant Spirit Medicine which lead Brandy on a Shamanic journey in which she was able to speak to the plant spirits. "This came very naturally to me," says Brandy. "I began doing a tremendous amount of research on the efficacy and effects of natural ingredients for physical health and beauty." Brandy's research confirmed the guidance she would receive in her journeys and from there she was encouraged to start the Fig + Yarrow line using always natural and never synthetic ingredients. Choosing natural beauty products crafted with organic and wildcrafted ingredients is one very significant way in which we, as consumers, can collectively influence how the land, people and other creatures at the most basic level of our product chains are treated. Part of FIG+YARROW’s mission is to educate consumers on how to apply products so they feel the true benefits of the organic line. Watch a step by step to use the Cardamom and Coffee Anti-cellulite Body Scrub.